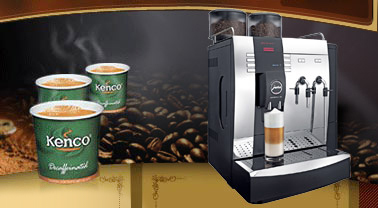 The Canto Touch office coffee vending machine has proven to be very successful in one of our larger corporate customers. Most importantly the Canto Touch produces a great range of quality coffee ranging from cappuccino, latte through to espresso and americano. Non coffee drinks such as tea and hot chocolate are also available. Obviously the quality of the drinks is the most important aspect of the machine but there are some very novel new aspects too. The large high definition screen allows for video, animation and still images to be displayed. This allows for corporate messages to be disseminated whether that is to staff or customers. One of our large customers that have taken these machines is an insurance company who are currently running a television advertising campaign. We have been able to upload their advert to the machine which is great for impressing visitors! Standard features also include a disabled user feature which allows a wheelchair user to drop the drinks icons further down the screen making all options more accessible. Language icons also allow for all of the drinks to be displayed in a variety of languages making the Canto ideal for environments where the first language of staff or customers isn’t English. Believe it or not the touch screen can also affect the quality of the drink! It does this by allowing the user to customise their own drink. Coffee strength along with amount of sugar and milk are all adjustable when you choose your drink. 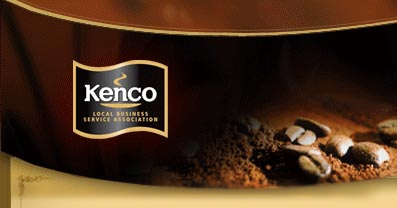 More than any other coffee machine that we supply this allows you to adjust the drink to your own tastes. The Canto Touch really is the next step in the evolution of the coffee vending machine. There are other touch screen systems on the market but none offer the diverse options and functionality of the Canto. The Canto is available to buy, lease or rent. We can even operate the machine for you meaning that we visit your premises to keep the machine filled and cleaned. Not only is the Canto packed with up to the minute technology but we can take all of the hassle away from you. This entry was posted in Coffee machine and tagged Cant Touch vending machine, office coffee vending machines, Touch screen coffee machine, touch screen vending machine. Bookmark the permalink.